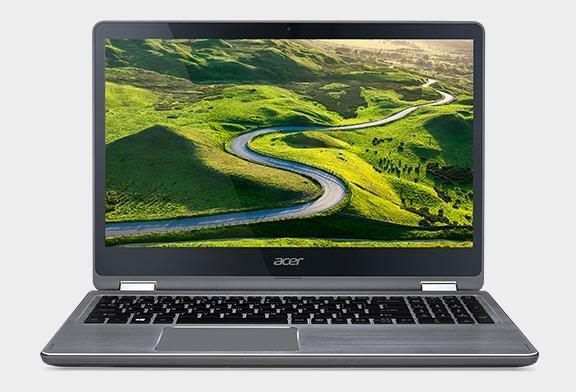 The 15.6-inch R5-571TG is an excellently equipped model from the Acer Aspire R 15 15.6-inch convertible 2-in-1 notebook series. The Windows 10-based R5-571TG features a Full HD IPS wide-viewing angle multi-touch screen, powerful 7th Generation Intel Core i7-7500U processor, large system memory size of 12GB, a fast 256GB solid state drive. Interestingly, Acer has manage to squeeze into this thin laptop a subwoofer bass speaker besides standard stereo speakers. There are also a 720p web camera, 802.11AC Wi-Fi wireless, Bluetooth, two USB 3.0 ports, one USB 2.0 port, a new compact USB-C 3.1 port, HDMI video out, a combo mic/headphones port, and an SD memory card reader. The following drivers,software and user manual are compatible with your Acer R5-571TG notebook and compatible with Windows 7 64bit.